Characteristics: Steamer, built by Mare Island Naval Shipyard, San Francisco Bay 1874, 121ft long x 20ft beam x 7ft draft. 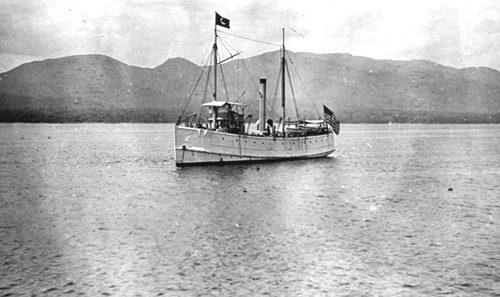 Log Period and Areas of Service: 1876-1915, Alaskan waters. Summary of Service - Nearly all her service was in Alaskan waters.